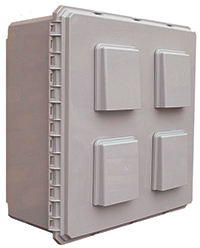 Protect electronics in wireless applications, marine/shipping or coastal installations, irrigation sites, wastewater treatment areas, on poles or towers, and other extremes! 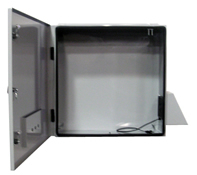 URGENT: When choosing an enclosure for your application, careful consideration must be given in determining the heat load and operating temperature parameters of the electronics mounted within, the conditions of the environment where the unit is to be mounted, and based on these facts the need for air-conditioning, humidity control, heat, and/or fans. 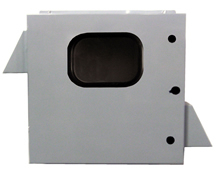 The “FC Series” fan-cooled & ventilated NEMA 3R outdoor/indoor enclosures are an inexpensive choice for installation where you need air-flow exchange to ventilate your components mounted within enclosures. 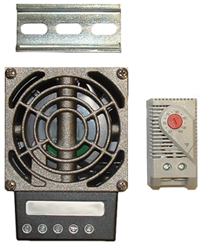 However, please keep in mind fan-cooled & ventilated enclosures simply exchange internal air for the external air. 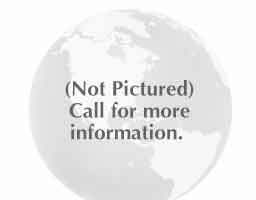 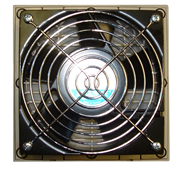 Therefore, Fan-Cooled models are not recommended for extreme high-temperature nor extreme low temperature environments. 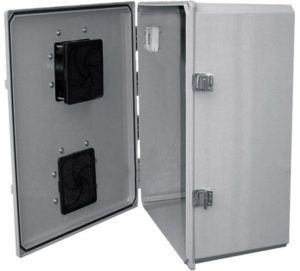 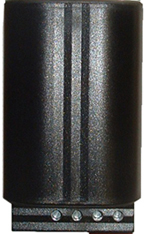 Because these units pull external air into the enclosure through a filtering system, they are listed as NEMA 3R and do not meet the NEMA 4 standards of Mier’s air-conditioned and heated models (ACE Series or ACHT Series) which are the safest choice when your components need NEMA 4 type protection from the elements such as moisture, heat, cold, wind, rain, snow, ice, etc., or from wash down conditions. 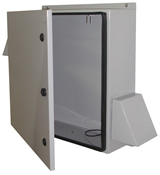 If you need NEMA 4 type protection please visit our Temperature Controlled Enclosures page to review those NEMA 4 products. 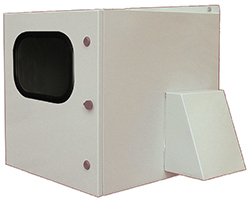 When using Fan-Cooled (FC) models you must keep the filters clean and must not block the fan, air intake, or air-flow with items mounted inside the enclosure. 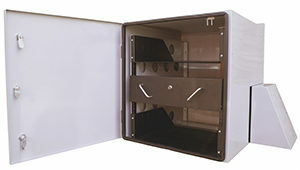 You must clean the filters a minimum of once every six months, and more often in higher dust, pollen, pollutants areas. 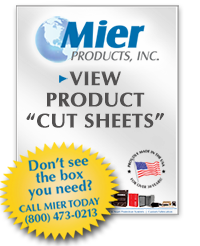 Mier recommends only installing units with windows or clear doors in shaded areas; as interior temperatures of these units reach 200 higher than units with solid doors. 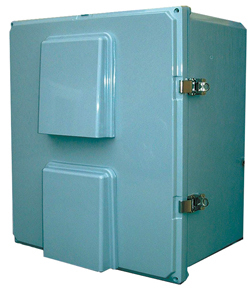 If your installation is in warmer or cooler exterior or interior temperatures than these, if your internal heat load is greater, or if you are installing in a coastal or highly corrosive area call Mier Products for advice on our other models. 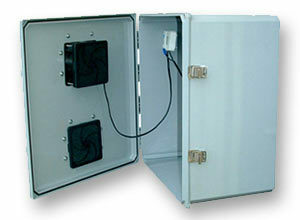 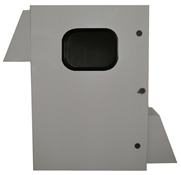 Non-metallic polycarbonate enclosure allows you to place transmitters/receivers inside!